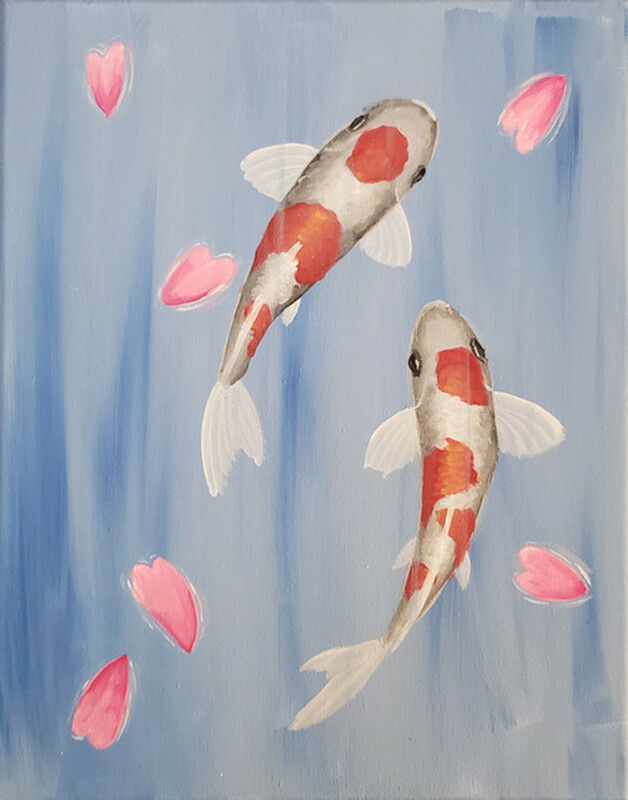 Create this Lovely Koi painting, just in time for Valentine's Day, while having fun with old friends, and new. We provide everything you'll need to make a work of art you'll be excited to show off! NO prior art experience needed. Each month debuts a new painting for you to try out.